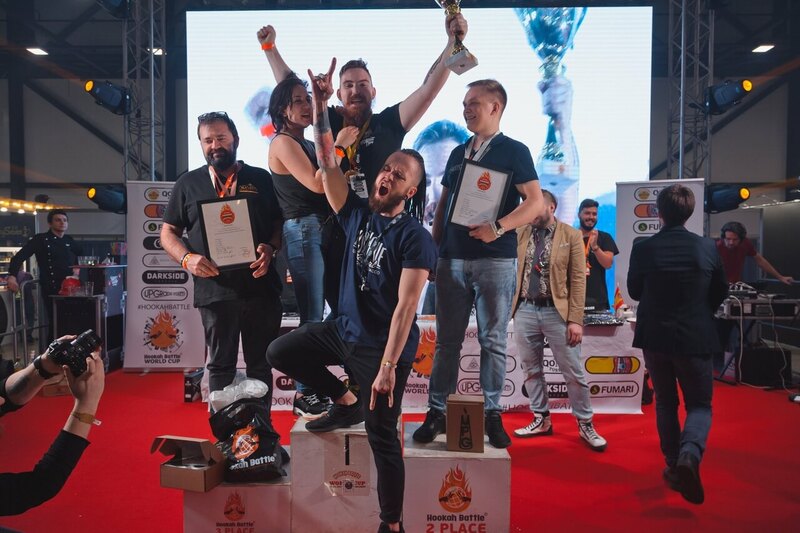 In March 2019, at the Hookah Club Show, we held the Hookah Battle World Cup, which was attended by teams that won prizes in Hookah Battle competitions in different parts of the world. In a difficult struggle, the Cup was given to Daniel Volodarsky with his team Black Wings. 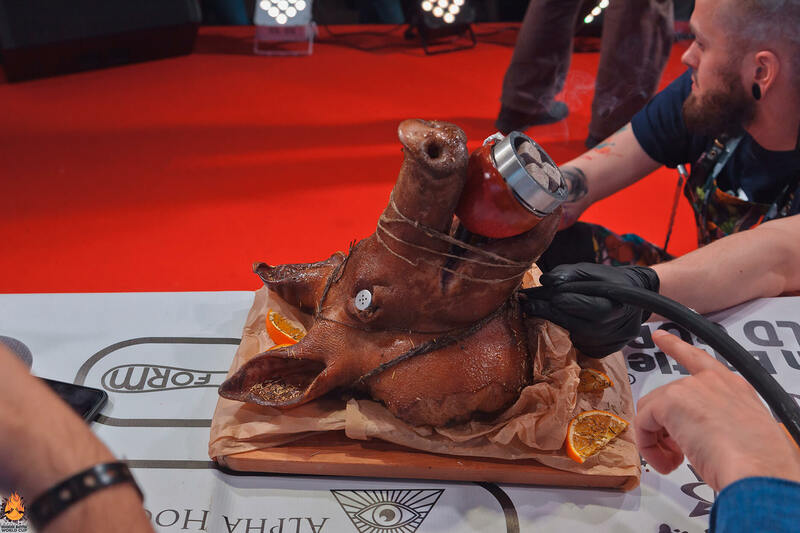 The team presented a very provocative hookah made from a real pig’s head. 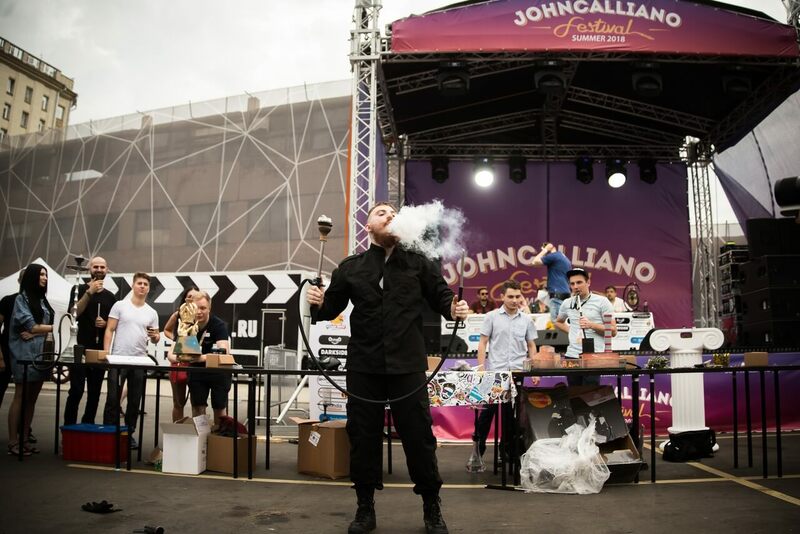 The photos of this hookah created a real sensation in the hookah community all over the world, scattered around the network and became a cause for heated debate. 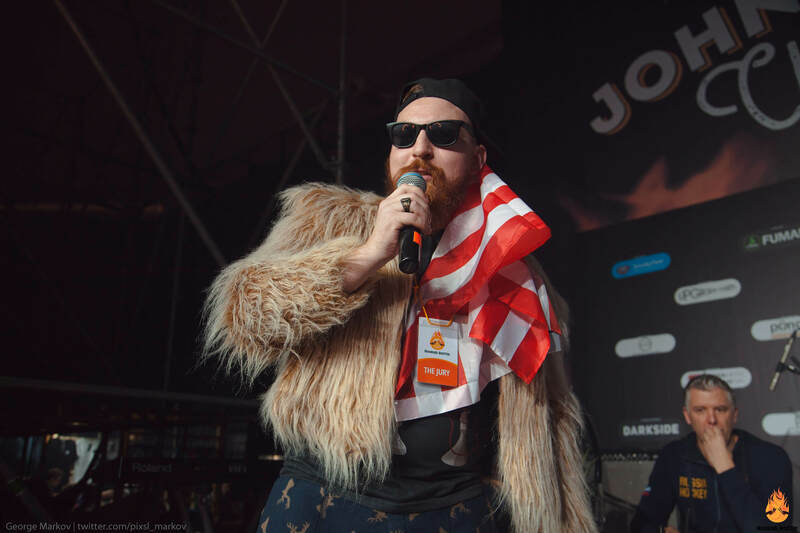 Today we decided to interview Daniel for a closer acquaintance of the community with the hero of the latest discussions. HB: Could you tell us a few words about yourself, how you started to practice hookahs? 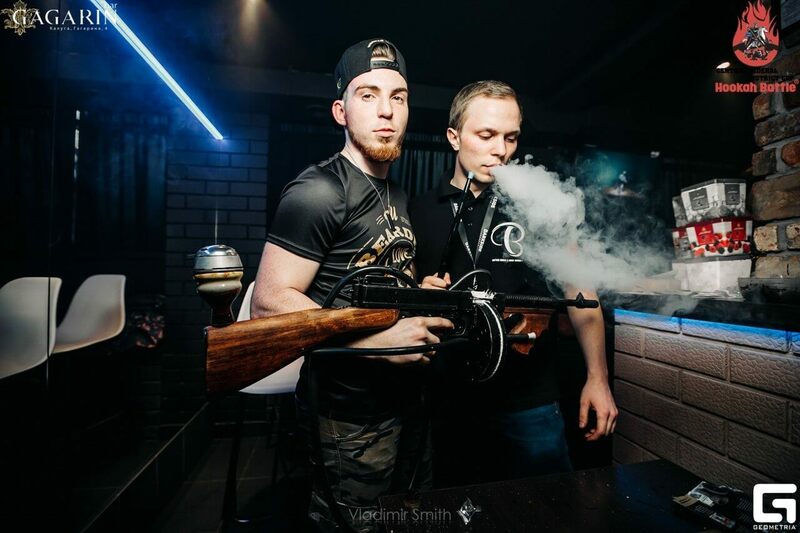 Daniil: I came to the hookah industry after work honey brother in intensive care with strokes. Having buried more than 40 people in our department for a month due to the low level of supply and having received a penny for it, he began to look for something else. A friend taught at home to do Hookah on Al Faker and I decided to try. So it goes. HB: What kind of hookah projects did you have to participate in, where did you work? Daniil: I started working with lounges and stayed in them. There were chains of restaurants etc. It was the good times I’ve got a lot of friends. And it was the most important thing for me. HB: What HB did you take part in, with what works and how did you go with success? Daniil: For my participation in HB, I have to thank the guys from TONGS. They invited me to the Hokkah Battle of the Central Federal District and gave me a job in their lounge, so that trip was not expensive. Then I made my Thompson, who brought me the first silver. Then we went to the HCS and wanted to make a pig head. But failes this for technical reasons. After that, I became popularity and I began to give master classes in the Hookah Place network and started just with HP Kaluga. Then there were master classes and seminars in St. Petersburg, i trained and raised the level of applicants on the basis of the DS Family network. I formed a team whose members went to cool franchises, including Hookah Place. In the summer of 2017 i became restaurant’s Rubinshein’s hookah-chief. At the moment, working with Hookoff as a sales representative and with the manufacturer of bowls Hookah Mason as an ambassador. HB: How did you come up with the idea to create a hookah with which you won the World Cup? Daniil: The idea of a pig has been came spontaneously. My teammate is a cook, I am a surgeon. So we decided to combine our skills. HB: What difficulties did you encounter in creating this hookah? Daniil: The problem was to find the time. This is not the Hookah which can be done in advance. Three nights without sleep, 4 hours of gouging the pig’s skull with a machete, then 6 hours of roasting. The main difficulty was 5 hours before the battle, when it finally got ready and sat down. I had to make a small flask of improvised tools. HB: Hookah from the pork head caused a very mixed reaction in the hookah community. Many say that this is already too much, or even that the hookah is frankly vile.Is there anything you want to say about your idea? HB: You have been playing in Hookah Battle for a long time and have already won prizes. Have you received any sponsorship or commercial offers? Daniil: At half of the HB, the sponsors were the tobacco manufacturers and the establishments in which I worked. I will never imagine those who are not ideologically close to me. That is why I went to the World Cup under my own name. HB: Are you going to participate in foreign battles? Daniil: I not only plan, but I will definitely do it. The Russian industry is already drowning itself with its stupidity and the desire to earn a lot. Therefore, foreign sites are an opportunity to see a different mentality. HB: I have heard that you are looking for a sponsor to present at the Battle? Daniil: Sponsors are a must for overseas HB. Flights are not a cheap pleasure. For my part, I guarantee to be myself and arrange a show that explodes consciousness. HB: What do you want to advise beginner participants of Hookah Battle? Daniil: For beginners, I advise you not to be afraid of new ideas and experiment. And it is very important to study the history of HB. Many times the work was repeated because of the laziness of the participants to check the work of previous years. Therefore, the main thing is to do something different and break standards.